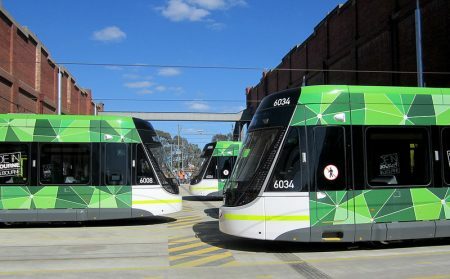 Yarra Trams aim is to create a sustainable transport system, which delivers a positive contribution to the environment, community and the economy. MEFL has worked with Yarra Trams to suggest ways for the Brunswick Depot to use energy and water more efficiently and to reduce waste. Yarra Trams also got creative with its own ideas and implemented the Greendepot® program at several of its work locations. Harvesting rainwater from the expansive roof of the tram shed. Separating the office lights on different circuits so that lights can be switched off in areas that are not in use. Separating existing lighting and retrofitting them with sensors is a simple way to save energy as it means the lights only turn on when needed. Further to that, Yarra Trams has also installed solar panels at its East Preston depot to further reduce the company’s carbon footprint. The company is currently taking a more proactive approach to account for its use of resources by setting achievable targets in carbon reduction.